The trees dominate the view and are the framework within which other forest organisms find their homes. 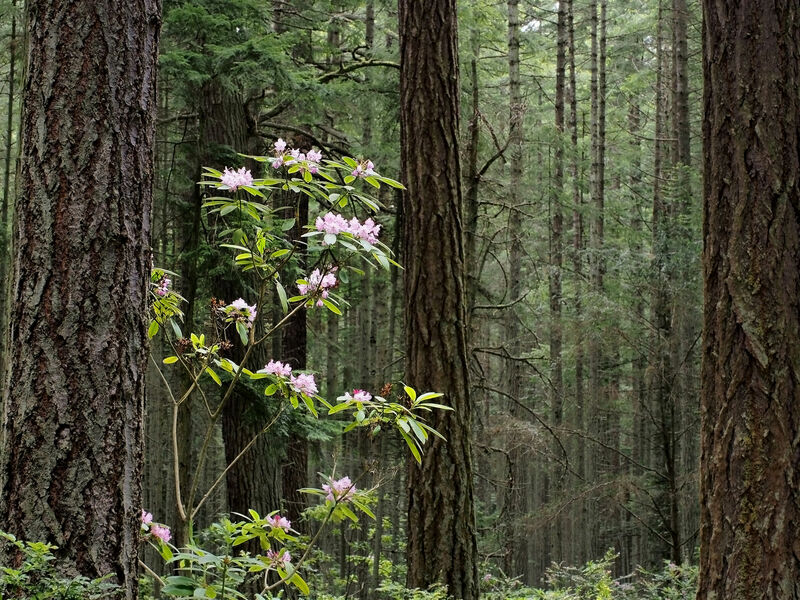 In this first picture we see rhododendrons blooming against second-growth Douglas firs (whose scientific name is Pseudotsuga menzesii) in Rhododendron County Park on Whidbey Island outside of Seattle. 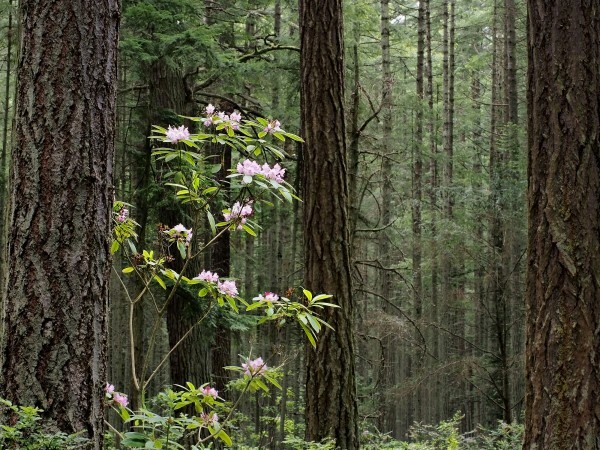 During a few weeks in spring, the exact timing of which depends on the elevation, Washington’s forests glow with the flowers of the native rhody (Rhododendron macrophyllum, large-leaf rhododendron), which is why it has been designated as the Washington State flower. In comparing these two plants we have our first encounter with diversity as a biologist sees it. Rhodies are obviously flowering plants, and biologists call the entire assemblage of flowering plants the angiosperms. Their seeds are enclosed in fruits, a characteristic that gives rise to their technical name. Douglas firs, on the other hand, bear cones rather than flowers. The seeds are formed between the scales of the cones but they are naked, not enclosed in any special structures. Biologists group all conifers, plus the familiar Gingko tree and a few other groups, together as the gymnosperms. This technical name refers to their naked seeds. Gymnosperms are regarded as the more primitive group, and it is believed, partly on the basis of the fossil record, that angiosperms first diverged from them about 160 million years ago. Today, the two coexist happily. Evolutionary divergence does not imply incompatibility except in a reproductive sense – angiosperms and gymnosperms do not interbreed! This picture, taken along the Wilbert Trail in South Whidbey State Park (located on Whidbey Island north of Seattle), shows a different clustering of plants. 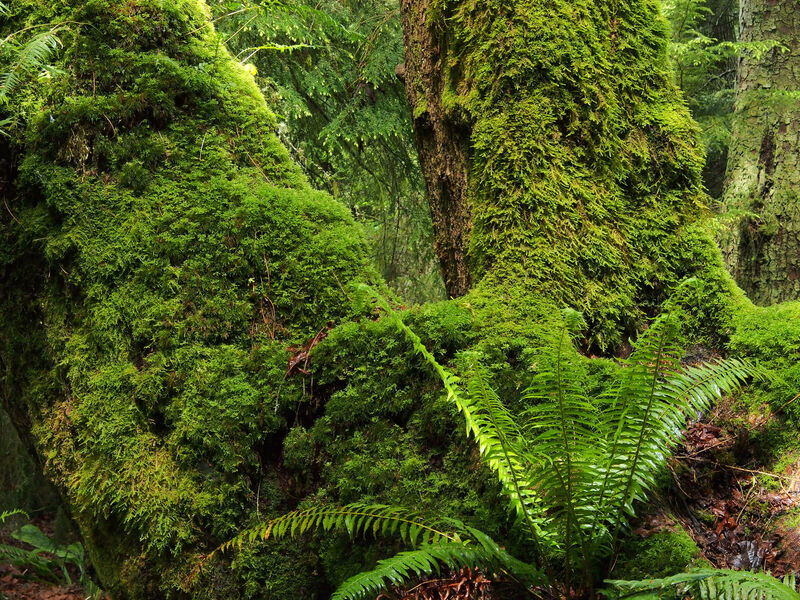 The view is dominated by the base of a bigleaf maple (Acer macrophyllum) completely covered by mosses, with a sword fern (Polystichum munitum) in front. In the background, between the two trunks of the maple, are the drooping boughs of a young western hemlock (Tsuga heterophylla). The hemlock is a conifer and therefore a gymnosperm, and the maple is a flowering plant and therefore an angiosperm. They differ in another way as well: the hemlock is evergreen, as are most gymnosperms, whereas the maple is deciduous, as are the majority of angiosperms. 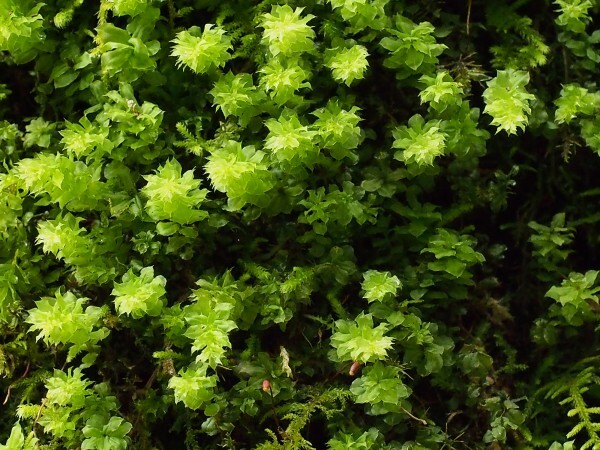 Ferns belong to their own group, mosses belong to yet another. Both ferns and mosses bear green, leaf-like structures, but neither produces seeds at all. 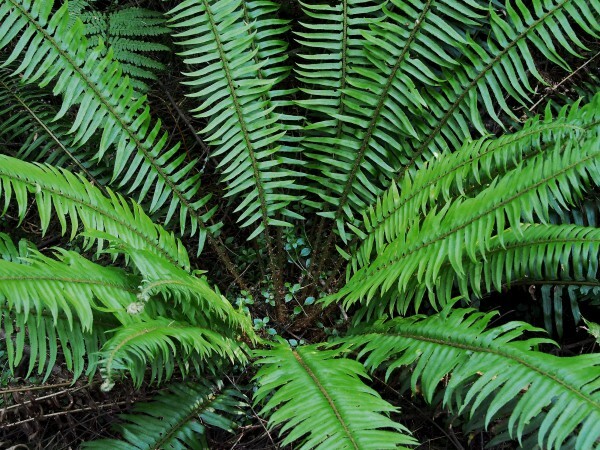 Ferns have a fossil history reaching back 360 million years, mosses at least 470 million years. 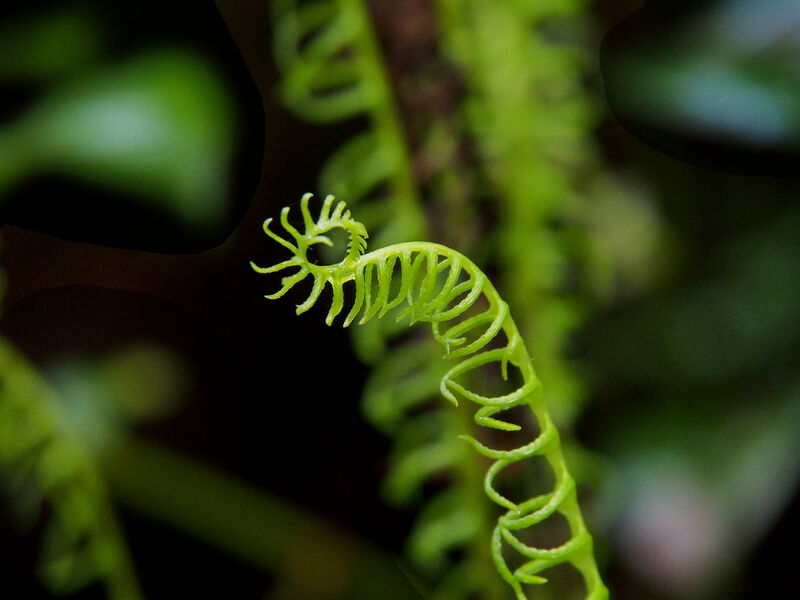 When we encounter these beautiful plants, we are touching both the amazing diversity of life on Earth and the deep time through which this diversity has evolved. There are other amazing groups of organisms in the forest, fungi, lichens, and slime molds among them. We will make their acquaintance in due course. For now, take a stroll through the forest, look around you, and marvel at the diversity. Find some mosses, ferns, gymnosperms, and angiosperms for yourself. Look carefully at the details of their leaves and stems. As you do this, keep in mind the hundreds of millions of years it took to produce the diversity we experience today. What a wonderful surprise. Your concept is a powerful and much needed one. Your writing is engaging and informative. And your images are just plain spectacular!!!! Very well done indeed! Both Bob and I are looking forward to your next instalment. Congratulations!!!!!! Thanks so much, Patty. It’s especially encouraging to hear extravagant words of praise for my photographs from a master like you! I’m enthusiastically sold on this new blog, Johnny. Congratulations on a momentus start. As a forest dweller myself, I feel enriched by your insight and command of the science, together with your great love of nature and clear narrative. You bring a fresh, much-needed voice to the conversation about how we can all be better stewards of this great treasure entrusted to us. Many thanks, Dan. This project of blending science with feelings and values will certainly keep me on my toes! 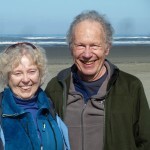 Hi John, Laurel, my wife just sent me your blog…and I love it. 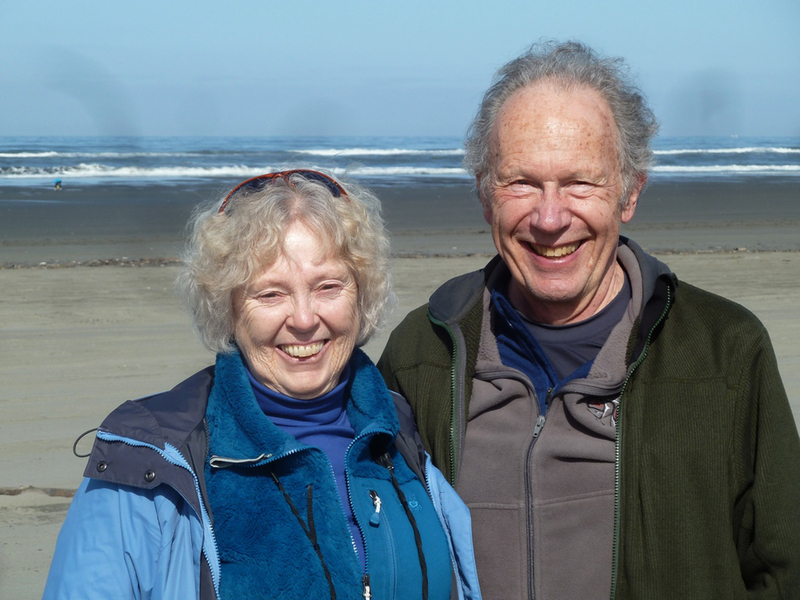 We are on Whidbey. Say I have been greatly inspired lately by Stephen Buhner. His book, “Secret Teachings of Plants” has taught me how to connect with plants much much more effectively. 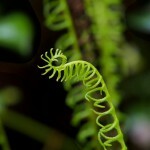 Prior I enjoyed Nature especially ferns… but now I can really have an energetic exchange with them. Hi, Christopher, and thanks for writing. I’m glad to hear that my effort is resonating with you and Laurel. I personally hew pretty closely to mainstream science, which has huge amounts to teach us but is often hard to access because of its complex language and its deliberate distancing from the domains of feelings and values. I will be doing my best to call forth a sense of interconnection with everything there is, especially right here at home but also out there in the vastness of space, from a foundation of that very orthodox science. I hope that my effort will continue to speak to you! I LOVE it! Anything to guide us to greater awareness of our connection with the natural world (as compared to our dominance? of it) is inspiring to me. Looking forward to each and every post. And I hope that they will continue to delight you! Love that Plagiomnium! I’ll have to go up to the Wilbert trail and check out that maple of yours with all the gorgeous moss…..
the predominant forests here in Cascadia gymnosperms? Thank you for your excellent question, Jim. I have only some preliminary responses it, but will come back to it as I gather more information. You are opening up for us the domain of biogeography, the study of the geographical distribution of species and the attempt to account for that distribution. Even Darwin was fascinated by this question! 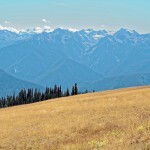 Looking specifically at Cascadia, notice that our region is not special in its dominance by conifers. The entire Pacific coast of North America shows this phenomenon, from the redwoods of California to the Sitka spruces of Alaska. Further inland, the forests of the Rockies are similarly dominated by conifers, as is the great boreal forest of the north. In contrast, the Atlantic coast is far more diverse – there are conifers, but witness the brilliant fall colors of New England and the species-rich forests further south. 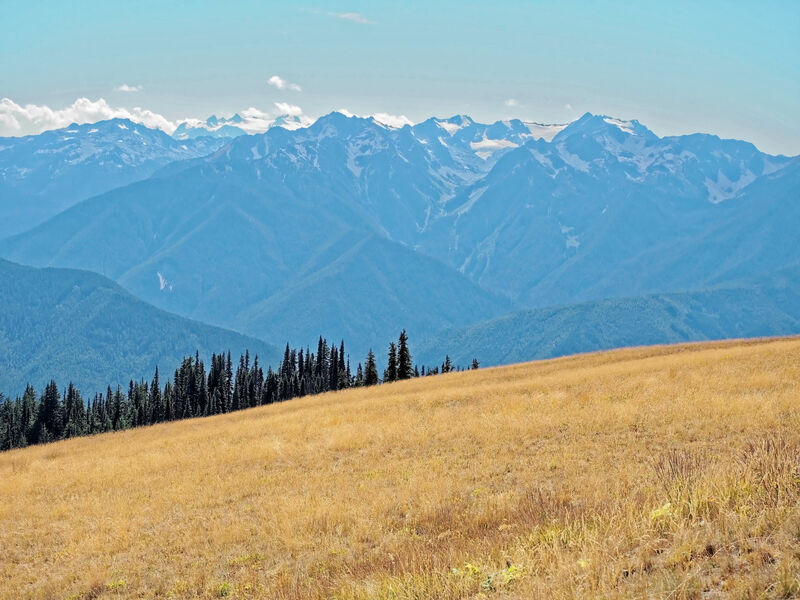 Biogeographers turn to geologic history, evolutionary history and relationships, and specific adaptations to environmental conditions to aid their thinking about these large-scale distributional patterns. For example, it is observed for conifers worldwide that they tend to inhabit colder environments, occurring at higher latitudes and higher altitudes than do the majority of angiosperms. What might enable them to do this? It appears that their internal water transport mechanisms (which we will look at in future posts) are more tolerant of cold (and also of water and nutrient stress) than are those of angiosperms, so they might have a competitive advantage at high latitudes and altitudes. But this is only an initial foray into the question you raise. I do not have a specific answer for you, only brief indications of how biologists have approached questions of this kind. If I find additional information, I will post it later on Nature’s Depths. Thank you, Michael! I know the book, so I treasure your compliment. Glad to share this love of nature with you, Johnny! These days I seek less to understand, rather than to take in, so I especially appreciate your gorgeous pictures (you have a great eye!) Please consider me an enthusiastic subscriber!